Let's kick off Rare Disease Month right by helping researchers gather the data they need to improve the lives of people living with genetic health conditions. Many researchers across the country are conducting studies to better understand craniofacial conditions. You can help improve the future of medical care for those born with facial differences by sharing your personal experiences. There are countless examples of research papers that benefitted from participants like YOU! Recently, Gabriella Miller and the Kids First Pediatric Research published a study thanks to the assistance of people affected by orofacial clefts. Read their study results here Orofacial Clefts Genetics Study. This publication is informative for medical professionals to better understand how orofacial clefts occur. You can help provide insight for current studies to pave the way for major breakthroughs in treatment AND to assist medical providers move toward a more patient-centered care approach. YOUR willingness to participate is one vital way to give back. 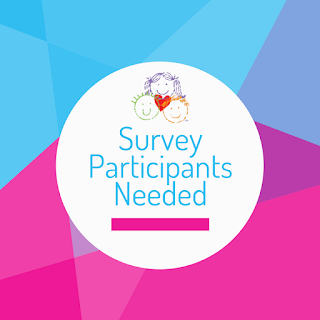 Review the links below to see if there is a study that you are eligible for and can contribute your family or personal experience to help brighten the future for those born wth facial differences. At the University of Utah and Primary Children's Hospital, we are trying to better understand the impact craniofacial abnormalities have on children and families. This study will help us both understand and measure the many ways this disorder has affected your child and your family. If your child has a craniofacial abnormality (CFA), you may qualify to participate in a study. We are working with families to create a quality of life (QOL) questionnaire. The CFA quality of life questionnaire will help providers understand how CFA impacts quality of life of families and those who care for young children with CFA. The goal is to give providers better understanding of the impact the disorder has on families’ lives, while also providing a framework for discussing and solving the problems families face. We hope the development of this instrument will help other families impacted by CFA . We will be conducting some focus groups during the upcoming CCA Retreat in Salt Lake. We hope you will share your family’s experiences with CFA with us, so that it can be reflected in the instrument we develop. The survey here will allow you to sign up for a focus group. It also asks for a limited amount of information about you and your child, to allow us to plan the focus groups and analyze the transcripts. All personal information is very carefully protected. Families and individuals with Pfeiffer Syndrome, Apert Syndrome, Crouzon Syndrome, and Muenke Syndrome are invited to inquire about the reserch being conducted by Dr. Jabs and Carolina Sommer with the Born A Hero, an organization empowering kids born with Pfeiffer Syndrome. Genome Alliance hopes to learn more about your understanding of genetic testing and family medical history with their one-minute survey. Dr. Drorit Gaines in California is conducting research on the connection between ADHD, Autism and sensory disorders among children born with Apert syndrome. All that is required for this study is an Apert Syndrome diagnosis, copies of your medical records, and the completion of a questionnaire. Click the link above for more information. Our study team has spent the last two years interviewing parents and craniofacial providers to create a tool to evaluate interventions and treatments that infants with a cleft lip with or without a cleft palate are going through. Now that this tool has been developed, we are looking to validate the questionnaire. To do this, we are asking parents of young babies and young children with a diagnosis of cleft lip with or without cleft palate to complete the iCOO questionnaire a few days in a row at the following times 1) before surgery 2) 2 days after lip surgery and 3) 2 months after lip surgery. As our way of saying thank you, we are giving parents $5 a day each day they complete the iCOO with a bonus $25 for each complete series, for a total of up to $160 for their time and effort. We are inviting up to two caregivers in the home to participate. Our goal is that this tool will help clinicians and researchers better understand how these interventions are affecting the whole health and well-being of infants and young children with the hope that this understanding will improve future cleft care. Please share your experiences at this website. In the past two years, we at Baylor College of Medicine and Texas Children's Hospital have begun a genetic research program to look for the genetic cause(s) of Goldenhar Syndrome (also variously called Hemifacial Microsomia and Facio-Auriculo-Vertebral Spectrum). You may be aware that very little is known about the genetic explanation for these rare disorders, despite their variable effects on the eye, the ear, the face, the limbs and skeleton, and occasionally the kidney, among others. Also, these conditions vary widely from one family to another, so we expect that there is more than one genetic explanation for the same "diagnosis”, thus making the task of unraveling the true explanation(s) in any one family considerably more challenging! Many families have already had conventional genetic testing, which usually yields almost no useful information. As part of The Center for Mendelian Genomics at Baylor College of Medicine, I am pursuing the genetic explanation(s) for the Goldenhar Syndrome and related conditions. Since you as parents have an essential role in caring for, monitoring, and guiding the education of these children and young adults, I would appreciate most sincerely your joining us in this effort. Without your dedication and willingness, we cannot achieve the understanding that both the families and many scientists and physicians have wondered about for decades! There is no cost to any family for the detailed genetic analyses that will be done. If you are interested in helping your child and in joining this research program, please contact me. Nothing of this scale has ever been done for this spectrum of disorders. Please call my academic office at (713) 798-3030 or email me at rlewis@bcm.edu. If I am not in the office, please leave a voice mail with your name and a phone number for me to return your call. Also, please mention Goldenhar Syndrome or Hemifacial Microsomia in the message. I will call back and explain the details! Thank you! Our team here is most eager to proceed with this unique and exceptionally important research program! The overall goal of this project is to connect rare and undiagnosed families directly with genomic researchers to discover all of the genes that cause rare craniofacial diseases, and use this information to increase the rate of rare craniofacial disease diagnosis. Participants will complete an online form about their family and childhood onset rare and genetically undiagnosed craniofacial condition. From there, a member of our study team will set up a live video conference with the family to explain this research study and make sure that all of their questions are answered. With permission, we’ll reach out to the patient’s doctors directly to collect a copy of their medical records. Then, we’ll mail a sample collection kit directly to their house. Upon returning the kit to The Broad Institute of MIT and Harvard, samples will be registered in our tracking system and DNA will be processed for exome or genome sequencing. We will then begin analyzing data, comparing it to healthy individuals and identify which mutations in the genome are common, and which are rare and potentially related to their craniofacial condition. If we find results that explain the underlying cause of the rare condition present, we will request a second sample that will be sent to the Partner’s Laboratory for Molecular Medicine (LMM) in Cambridge, MA and will be confirmed in their clinical lab. LMM will provide a clinical report explaining the genetic findings, and these results will be shared with you and your local doctor. Click the link above for more information.